Judy Waechter shares how to cope with negative emotions during the holidays. 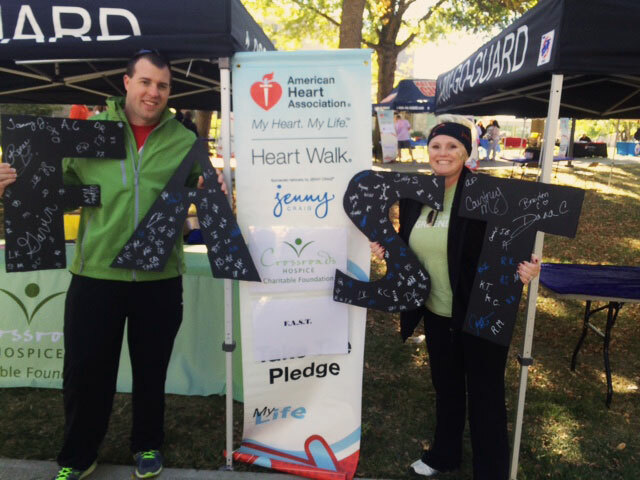 Our awesome team provided free blood pressure screenings for all in attendance! 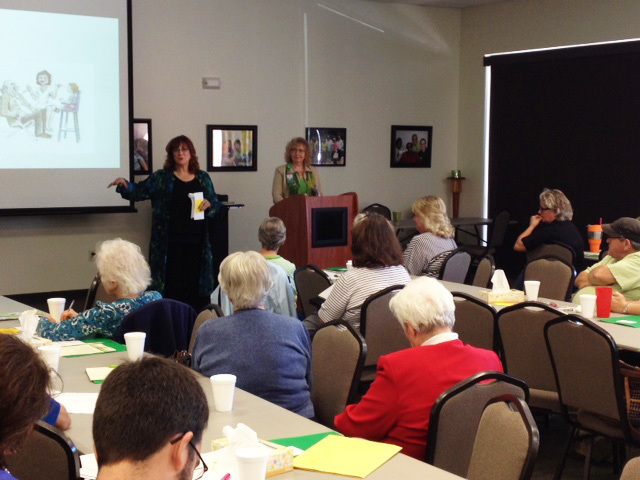 Over 167 members of the Northwest Missouri senior community were in attendance. 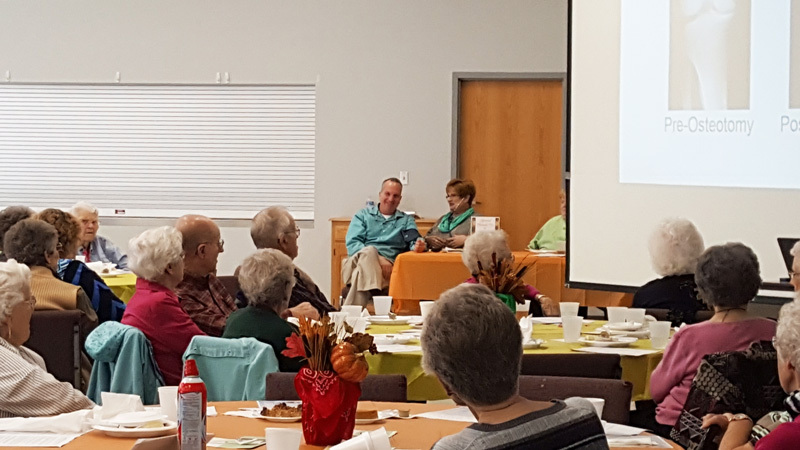 The Silver and Gold Senior Club has a longstanding history of bringing together the best talents and resources in the senior community of Northwest Missouri. 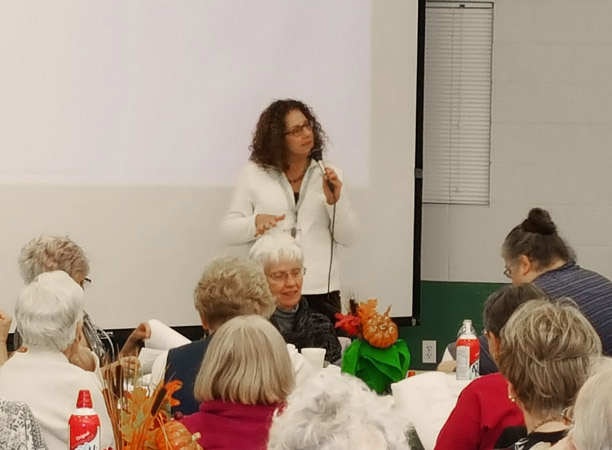 Gardening classes, dance and musical performances, cooking demonstrations, and group travels are just a small portion of what the Silver and Gold Senior Club offers to the senior community in the interest of promoting an improved quality of life and overall life satisfaction. Their mission, to strengthen the mental, emotional, and physical health of their members, is a focus we are proud to support and help strengthen. We were recently blessed with the opportunity to enrich the lives of the club members on November 19th. Our very own Judy Waechter, Community Educator, delivered a presentation on the topic of “Getting Through the Holidays.” The presentation centered on how the holidays, while often a cheerful time, can be especially difficult for many, and covered effective methods of coping with the negative emotions that the holidays can bring about. 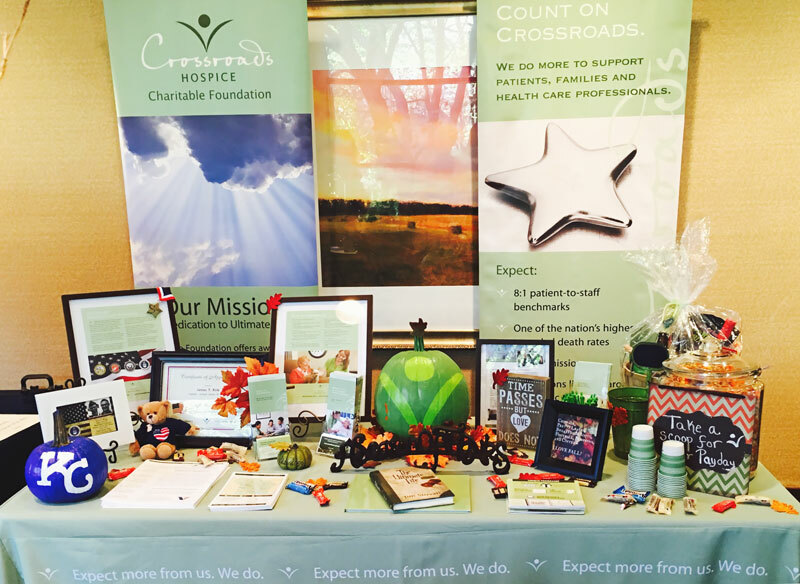 In addition, our team provided free blood pressure screenings for all 160+ members and had a member of the Crossroads Hospice nursing staff answer any questions from those in attendance. We are honored to have had the opportunity to provide this service and support, and we are thankful for our donors who have made these efforts possible. 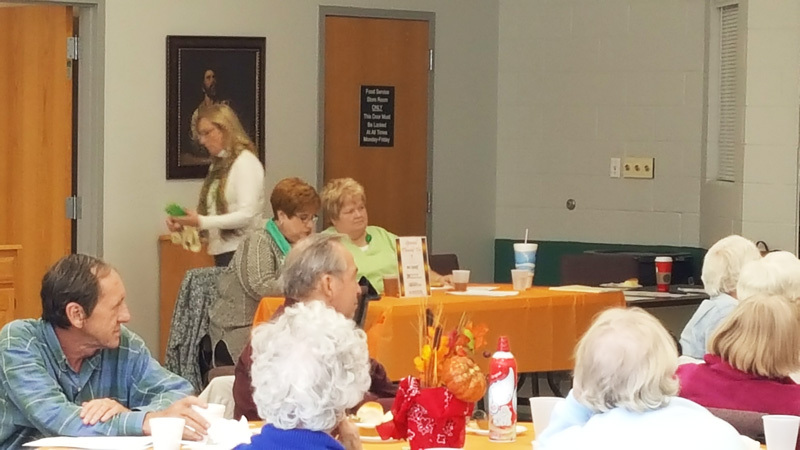 We keenly look forward to the next opportunity to partner with the Silver and Gold Senior Club in the interest of improving quality of life of the Northwest Missouri senior community.